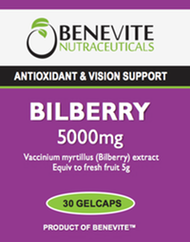 Benevite Nutraceuticals™ Weight Gain Formula embodies the major properties and benefits of Spirulina, a rich and highly nutritious micro salt water plant, once described as the most complete food source in the world. For this reason Spirulina is a plush source of supplementary food which assists in the stabilism of nutrient levels in your body, therefore minimising the incidence of illness. 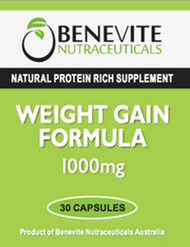 Benevite Nutraceuticals™ Weight Gain Formula aids in the promotion of general healthmaintenance and wellbeing.